Recognizing when it’s time to replace your ACD system is just half of the battle. To take action, you need to get other stakeholders on board. 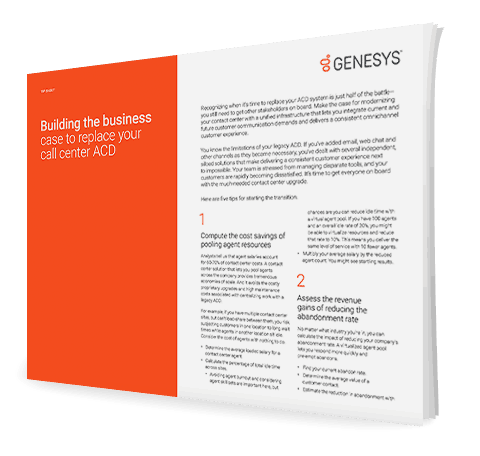 Build the business case for modernizing your contact center with a unified omnichannel infrastructure.